In the form of the new TinyBox TBa53, TQ is presenting a modular data logger, based on the TQMa53, which can also be used as a gateway. 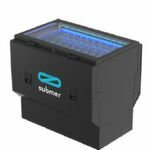 The data logger, which consists of a mainboard, module and casing, allows a cost-efficient and quick implementation of customer-specific systems solutions. Two system slots are available for expansions. The TinyBox TBa53 can also be integrated directly into the switchboard as a DIN rail device and thereby forms the basis for a system solution which can be realised quickly. The TQ minimodule TQMa53, a powerful Cortex(TM) A8 module, is used here. 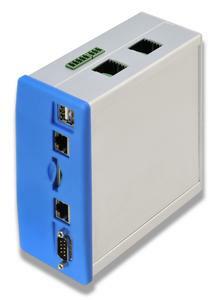 The data logger or gateway provides the user with a wide range of interfaces on the baseboard, such as RS232, 2x CAN (galvanically isolated), 2x USB 2.0 and 2x Ethernet. An SD-card interface, accessible from the outside, has been implemented as an extension. Alongside the standard interfaces the board can be expanded with two expansion module plug-in connectors. They are constructed identically and offer various interfaces (2x UART/SPI/I2C/USB/GPIO). Based on these interfaces any desired expansion modules can be implemented. Alongside the existing RS232 and RS485 expansion modules, radio solutions such as UMTS/GPRS, Wi-Fi and Bluetooth are also planned. Furthermore, diverse I/O functions can also be implemented on the expansion modules using the available interfaces. Customers can flexibly select the functions they need. If a desired function is not available, this can normally be realised at a reasonable price on the basis of a modular approach. Typical areas of application for the long-term available TinyBox TBa53 include: Machine control systems, building services, building management services, energy technology and measuring technology. 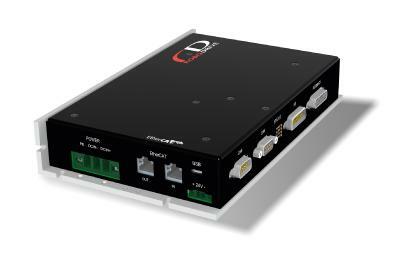 With this device TQ offers its customers a basis for integration into existing applications or the option of implementing their own product quickly. If the features are not sufficient and expansions are necessary, TQ supports the implementation of customer-specific systems solutions with their know-how. As an electronics service provider (E²MS supplier and CEM) TQ offers the complete range of services from development, through production and service right up to product life cycle management. The services cover assemblies, equipment and systems including hardware, software and mechanics. Customers can obtain all services from TQ on a modular basis as individual services and also as a complete package according to their individual requirements. Standard products such as finished microcontroller modules (minimodules) complete the range of services. 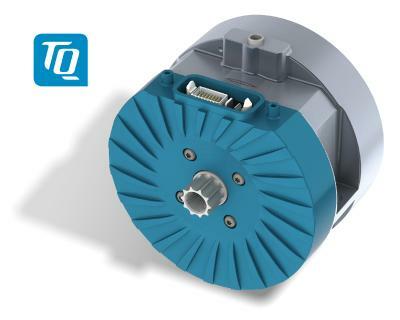 Through the combination of electronics services and finished system components, TQ offers customer-specific products as ODM products and thereby addresses customers who would like to receive finished products and at the same time benefit from the advantages of a customer-specific solution. ODM products are provided on time and economically using a comprehensive solution kit. The kit includes finished electronic, mechanical and software components including certification and licenses. 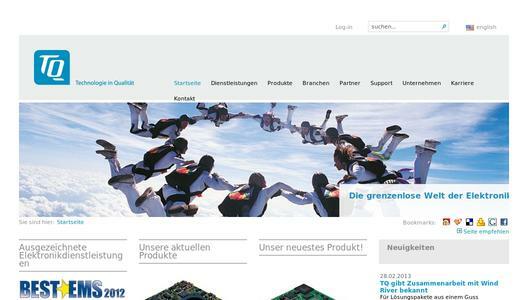 The TQ Group employs more than 900 colleagues at their sites in Seefeld, Murnau, Peißenberg, Peiting, Wetter/Ruhr, Chemnitz, Fontaines (Switzerland) and Shanghai (China). Further information on TQ can be found at www.tq-group.com/en.